How to cleanse a home. How to get rid of ghosts. Where to get smudge sticks. Smudging shares its roots with the burning of incense, with both traditions dating back thousands of years. 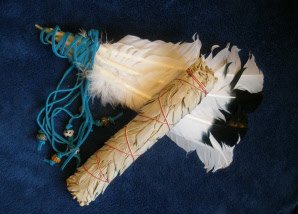 Smudging is a powerful Native American cleansing and purifying technique which uses a bundle of dried herbs called a smudge stick. Sage is most commonly used, but cedar, juniper, lavender, and sweet grass are also popular, as is a blending of two or more of these. Incense is commonly used today in many organized religions. Christian churches use the rising smoke as a symbol of the prayer of the faithful rising to heaven. In Asia incense is used in religious settings to purify the surroundings. Hindus use it in prayer and worship. Smudgings and incense are far from “new age” cleansing rituals. 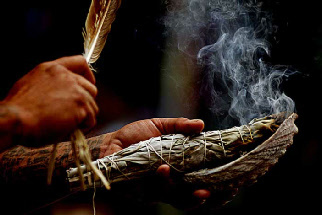 There are many variations on how to perform a smudging, but the basic concept of each is to fill every part of your home with the smoke from the smoldering smudge stick. You could also smudge just one or two rooms for lighter needs. To perform a smudging start with a heavy ceramic dish or bowl to hold the smoldering sage. Make sure the dish will not become overly hot and the ashes and embers will be contained. A light base of sand can be useful for these purposes. Light the end of the smudge stick and let it catch, then extinguish any flames and let it smolder much like incense being cautious of any embers. If the smoke ceases at any time during the smudging simply relight it. Start in the uppermost area of your house, usually the attic. Open a window in each room, if possible, to let the smoke carry out any negative energy. Circle the room – some prefer a clockwise direction – using your hand or a large feather to push the smoke throughout the room. Be extremely mindful of any lit embers or ashes that may fly off. If your home burns down you’ll have lost everything but the ghost will likely still be hanging around. As you move around the room, push the smoke high and low, taking extra care to get it into the corners. Open closets and cabinets and push the smoke in there also. Move down through the floors of your home ending up at the front door and opening it to whisk away the smoke as you finish. If you have a basement, do this last, working your way up towards the front door. When you’ve finished be sure to extinguish the smudge stick completely. Incense can be used in much the same way as a smudge stick, some say with equal effectiveness. Choose Lavender, Sandalwood or Sage cones (sticks are fine, but are just a little more difficult to use). Place the incense in a small bowl or dish, or use a censure. A tea ball can serve as a makeshift censure if the bottom is lined with tin foil. In extremely active environments, my preference is to sage the entire home first, then to burn incense in the bedrooms or other active areas daily or just before bed until things are under control. Smudging is a great way to remove negativity from your own home and can often be used to quiet unwanted activity. You don’t need someone else to come smudge for you - in fact, many believe the smudging process is more powerful if done by the homeowners themselves. Taking ownership of a space is a key component in dealing with unwanted paranormal activity. Many heath food stores such as Whole Foods carry smudge sticks, as do new age stores such as East Meets West here in New Jersey (Menlo Park Mall, Ocean County Mall, Monmouth Mall). If you’re in the Burlington area you can get sage and any other metaphysical and cleansing supplies at On Angel's Wings at 229 High St. 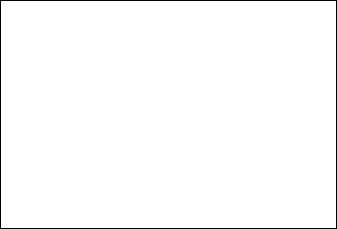 In Burlington: http://www.onangelswing.com/.